Maina Foundation » Maina Foundation attended a three day convention in Providence RI, starting from July 5 to July 7, 2013. Maina Foundation attended a three day convention in Providence RI, starting from July 5 to July 7, 2013. 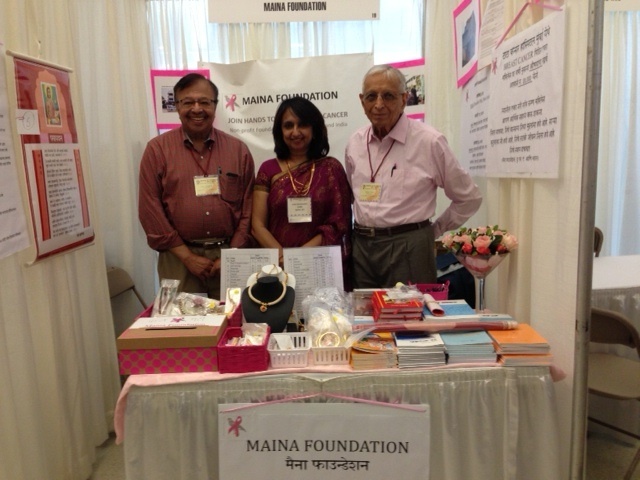 Maina Foundation attended a three day convention in Providence RI, starting from July 5 to July 7, 2013. The Foundation had a booth with information on Breast cancer and its rising incidence in India, along with the foundation’s goals to fight breast cancer. 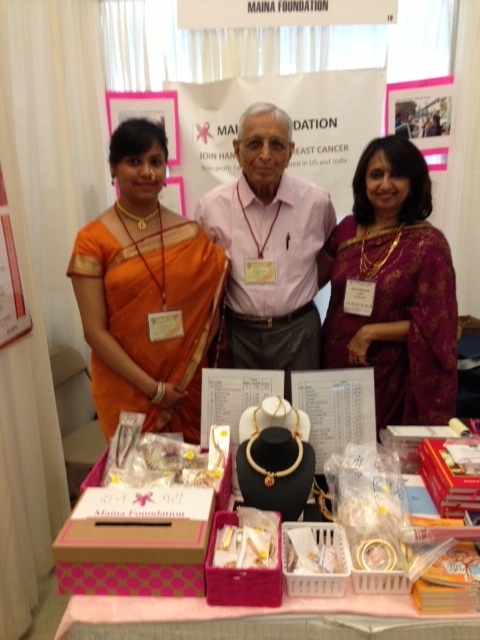 Books written by Shankar Pandit and traditional Indian costume jewelry were sold with all the proceeds going to Tata Memorial Hospital, Parel, Mumbai towards the treatment of women after breast cancer surgery such as chemotherapy and radiation. 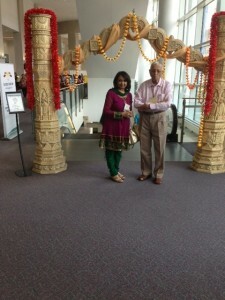 The event was a huge success with hundreds of people stopping by either to buy the books or jewelry and also donate. A total sum of Rs 3,30,000 was donated to Tata Memorial Hospital, which will go towards the treatment of 11 women.